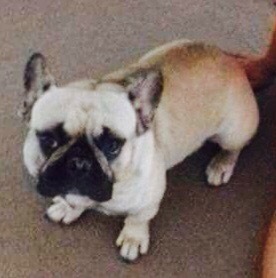 MEG is a Female French Bulldog Fawn (age: young adult). Stolen from Tattenhoe, Milton Keynes, Buckinghamshire MK15 area, South East on 20th July 2017. 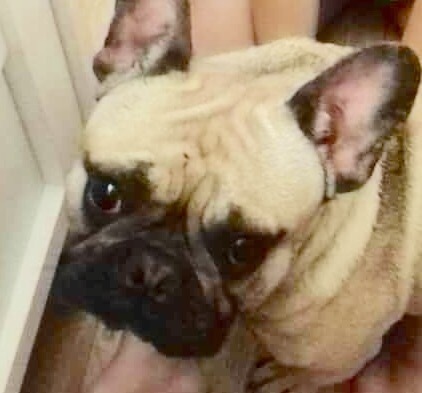 Our almost 3 year old French bulldog MEG was stollen over our garden fence in Tattenhoe Milton Keynes on Friday 6.20pm. She is fawn and has short legs and a slight scar over the left side of her forehead, she was 9 wks pregnant and our family pet, a pet given to my 3 year old daughter by her dad. She was pregnant with 4-5 puppies as we had her scanned at 8 weeks. The theif has been reported to the police. They jumped our 6ft fence grabbed her and jumped back over, walked through bramble bushes, ran over a feild then shoved her in the back of a white VW van. If anyone sees her please call, our family is in bits, especially my daughter.